ITEM 6000310899 - 2-1/2" x 8-9/16"
To use ADD TO PROJECT LIST, please LOG IN as a Registered User. Slot Size (Width x Height) 1-7/16" x 7/16" 1-7/16" x 7/16"
Bolt Hole Size (Diameter) 7/16" 7/16"
Ctr. of Slot/Bolt Hole to Top/Btm. Edges 1-3/4" 1-3/4"
Ctr. of Slot to Ctr. of Bolt Hole 4-1/2" 4-1/2"
Ctr. of Slot to Nearest Outside Edge 2-15/16" 2-15/16"
Ctr. 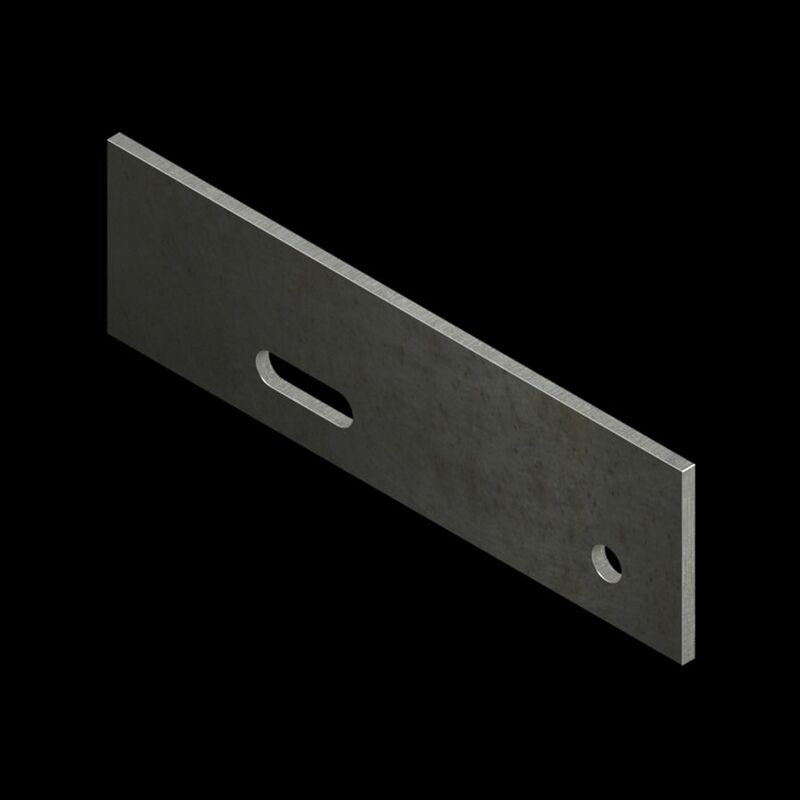 of Bolt Hole to Nearest Outside Edge 1-1/8" 1-1/8"
McNICHOLS provides a wide selection of product Accessories—Angles, Carrier Plates, Clips, Flat Bar (Banding), Nosing, U-Edging, and more—specifically for our product offerings. Accessories complete Hole Product designs with a clean finish, minimal guesswork, and optimal long-term results. Slot Size (Width x Height) 1-7/16" x 7/16"
Bolt Hole Size (Diameter) 7/16"
Ctr. of Slot/Bolt Hole to Top/Btm. Edges 1-3/4"
Ctr. of Slot to Ctr. of Bolt Hole 4-1/2"
Ctr. of Slot to Nearest Outside Edge 2-15/16"
Ctr. of Bolt Hole to Nearest Outside Edge 1-1/8"